Writer’s Note: Recent events have led me to repost this. I TRULY AM THIRSTY FOR YOU, MY GOD. Are You in that Wilderness? Have I come to that place in my heart that I can say, “Enough!”? Has my rebellion against the will and way of God driven me far enough afield that my thirst for God has overpowered me? Have I come to my senses and finally seen that MY way has led me into the wilderness? If I thirst, is it because my willfulness and rebellion has led me away from the source of “Living Water“? Only when I stray will I know this kind of thirst. Once I have drunk the Living Water, noting else will satisfy. If the cup is not at my lips, it is because I have put it down. It is not the father who has made me thirsty, it is my rebellion. I have to humble myself in order to receive this water. I have to drink His cup in order to know real satisfaction. When will I come and appear before God? When I have had enough of my own way. “One of the great inhibitors to our boldness is the responses that people in our lives give. 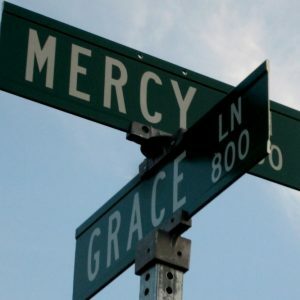 Although God is merciful and ready to forgive, people are not. We cannot let the responses of people affect our honesty before and our trust in the Lord. Richards, James (2001-12-01). Grace: The Power To Change (Kindle Locations 542-544). Whitaker House. Kindle Edition. When the world says I am a loser, I am too old to be part of what they are doing, or too fat, or overqualified, or under-qualified, or whatever excuse the world offers because I am not in my 20’s or 30’s and that is all they are looking for, it is easy for me to get discouraged.